Hey everyone, what’s up? How are you all doing? I’m having quite a nice time nowadays and all because of using the Palmer’sHand & Body Cocoa Butter Formula Multi-Function Dry Face and Body Oil withRosehip Aroma. It has done wonders to my skin. No, I’m not going to review it but I’m going to tell you all the benefits of cocoa butter. What is Cocoa Butter: Cocoa Butter is a light-yellow edible vegetable fat extracted from cocoa beans. It is used in a lot of products like chocolates, skin care, etc. It’s best known for its melting point which is approximately near human body temperature. Benefits of Cocoa Butter: Cocoa Butter has a ton of benefits and it can work wonders for us. Let’s have a look at the importance of cocoa butter now. 1. Excellent Skin Moisturiser: We all know how good of a moisturizer cocoa butter is. It prevents skin from drying, peeling off, cures stretch-marks, prevents rashes and cracked skin. It also acts as a natural anti-ageing agent and prevents signs of ageing like wrinkles, dullness, pigmentation etc. Also, cocoa butter can be used as a natural mild sunscreen. It also has wonderful healing properties. 2. Hair Conditioner:- While all of you may not know this but cocoa butter can be used as a hair conditioner too. It can be used just like a moisturiser or leave-in-conditioner. This reduces dandruff, prevents hair fall, improves hair growth, prevents frizz and gives a beautiful shine to your hair. 3. Cocoa Butter as a shaving cream? Yes, Please: Do you know that you can replace your regular shaving creams, gels and foam with something as pure as cocoa butter? Well, that’s true. You can search up the procedure on the internet. In addition it moisturizes your skin really well. This is suitable for both men and women. 4. Kissable Lips: Come on now, do I really need to tell about the beautiful lips that cocoa butter provides? Well, we all have used or heard about lip balms that have the goodness of cocoa butter at one point in our time. It prevents dry chapped lips and provides us with soft, smooth and kissable lips. Also, don’t forget the sweet fragrance of cocoa butter. 5. 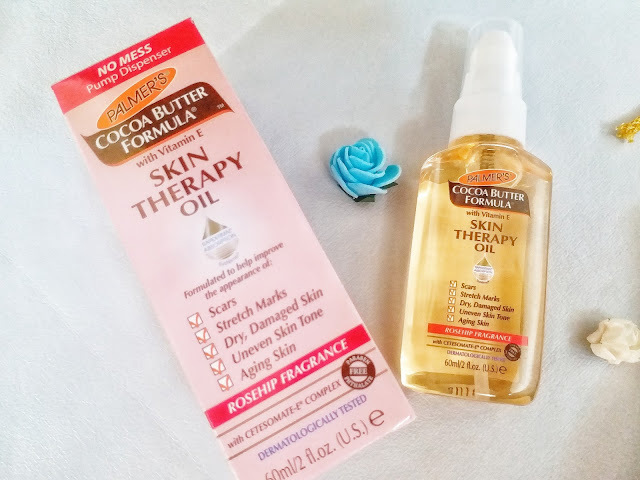 A wonderful aromatic stress-reliever:- Well, I’m sure not many of you know about it but Cocoa Butter can be an amazing stress-reliever after a long day. Take a shower with it or apply some post-shower, turn of the lights and feel the fragrance. It will help you relax and peaceful, calming your nerves and relieving all the stress. There you go with few out of the many benefits of cocoa butter and now let me tell you why the Palmer’s Hand & Body Cocoa Butter Formula Multi-Function Dry Face and Body Oil with Rosehip Aroma is the best. 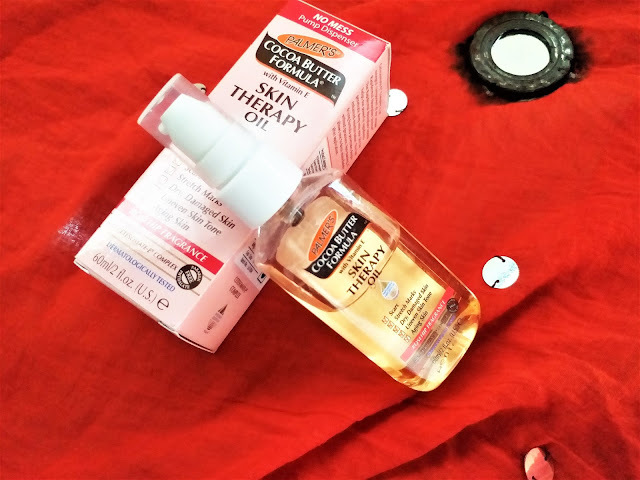 This oil is so light and easy to use. With the addition of cocoa butter it has an awesome fragrance of rosehip oil. 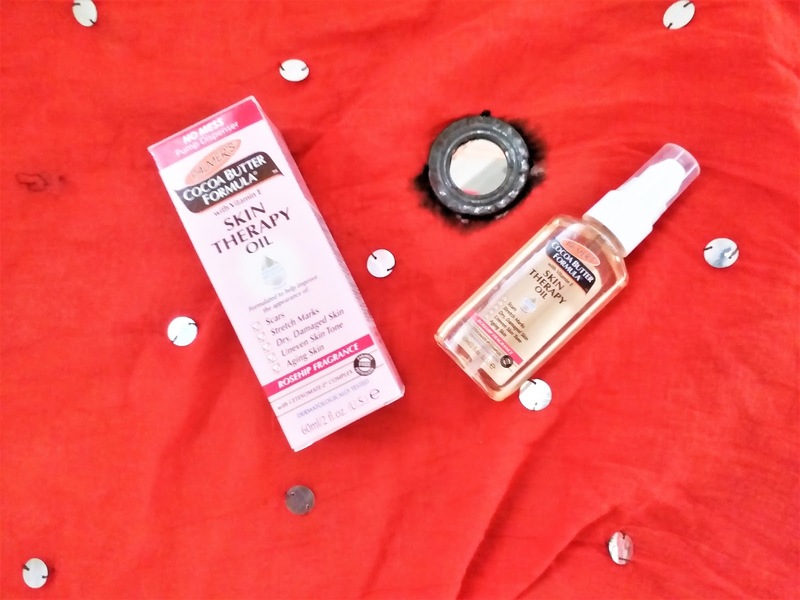 What I needed for sometimes is a good product that do away with my acne scar marks. So I started using this religiously. 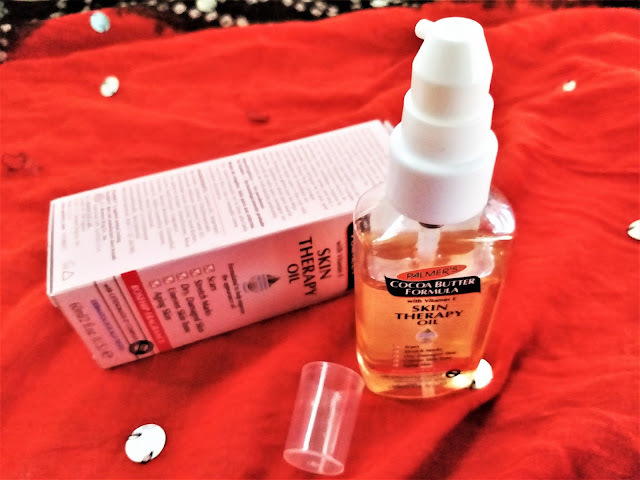 Frankly it has done a commendable job and my spots and scars look much lighter and also my skin never feels dry. I also use it on my dry areas like knees, heels, palms to prevent dryness. I am really impressed with how it is working for me. With all the goodness of cocoa butter and the aroma of rosehip oil, Palmer’s Hand & Body Cocoa Butter Formula Multi-Function Dry Face and Body Oil is too good to miss.